Curtains Blinds Wallpaper Singapore: Why Choose Roller Blinds? Many Singaporeans would have the skeptical thinking that roller blinds are more for office use. However, roller blinds are also commonly used at home and can be consider the one of the easiest window selections available. In today era, roller blinds design is not as dull as before, some are designed to suit your theme of your office and tailored to fit any kind of environment. Using of chain or spring mechanism? You can opt for your roller blinds to install as chain or spring mechanism. Chain mechanism good points are they are easy to operate and enable you to raise or lower down the blinds at any moment. In past years, chain mechanism is considered as the most trusted method than spring mechanism. With the improvement on technology, spring mechanism also hit the trend to be a trusted method and with an inbuilt of gearing that enable users to slow or control the motion of the spring roller blinds. Good point of spring mechanism is child friendly. As spring mechanism do not have chains or cords to operate hence reduce the risk factor of a toddler strangled in those chains or cords. I would say that installing a roller blind is practical. The reasons are simple as they can be used with ease, filtering and shading of sunlight which in turn protects furniture and other expensive items in getting “burned” from the blazing sun. With the abilities in providing shading and filtering of sunlight, thus enable you to control the lighting in your room when want to watch your TV in a broad daylight or playing your favourite game in the computer. No doubt, the last reason will be providing the necessary privacy you need in between your house and the external. Where does a roller blind come useful? In opinion, bathrooms and kitchens should install roller blinds. Ideally, the fabric and material used to make the roller blind make them suitable in a high humility condition. Roller blinds are easy to maintain and clean by just using a damp rug. Roller blinds can be used in your bedroom too. If there is blackout curtains, there is also blackout blind. These blackout blinds are also in today’s trend. You may install just as it is or combine with the curtains. Same effect as blackout curtains, these blinds can help to block out sunlight during the day if you need to catch your beauty sleep or assisting you in getting your babies and toddlers to nap anytime in the day. Blackout blinds normally are equipped with thermal compositions which will provide you the insulation to keep your room cool. 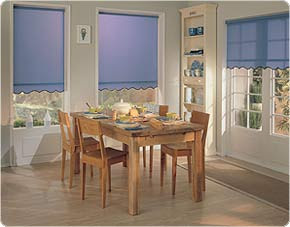 Roller blinds not only restricted just in your room but also your living room. Some Singaporeans may think that roller blind designs are dull and may not match to your exquisite curtains which I can tell you that you are totally wrong. Professional blind makers can use exquisite fabric to make your roller blind which can blend in to your curtain’s design. To summarized, roller blinds are famous and most sought for is because of their practical usage in kitchens and bathrooms. They are able to provide a blockage of sunlight in your bedroom during the day. They are easy to install, decorated with the range of fabrics availabilities and look stylist in your house. Do consider one now and call to your nearest professional blinds maker!